Modular Casework is the most innovative solution to custom millwork with the added bonus of flexibility. Compare traditional millwork with modular casework and you will find there is no comparison. Our modular millwork solutions are perfect for all departments and industries. 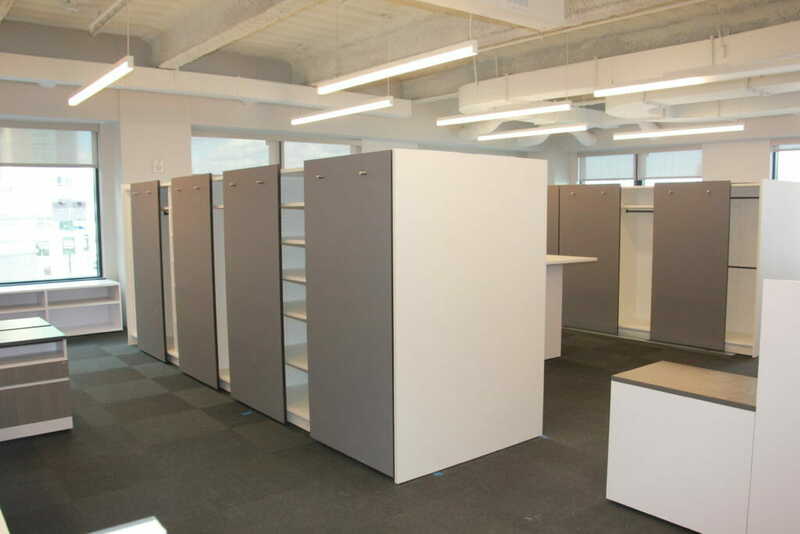 For example, Modular casework allows us to create a mailroom that can expand with the growth of your company to a whole floor or be changed around to allow for satellite mailrooms within a small office space. Our mailroom furniture offers superior quality and aesthetics. Casework cabinets can be used anywhere from doctor’s offices to science laboratories to hotel front desk areas. These modular storage systems are versatile enough for storing anything from important documents, fragile and important medical equipment and dangerous chemicals in a safe and secure manner. 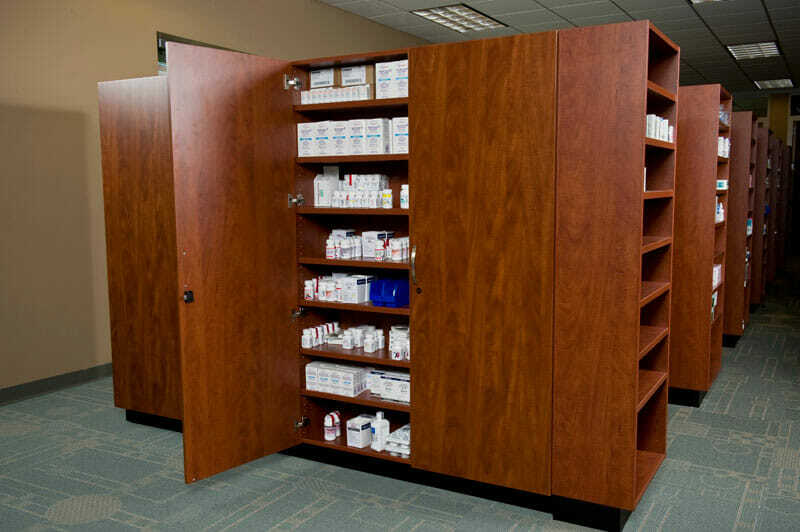 If you are a Pharmacy Directory, you should know that many pharmacies enjoy the convenience and ease of storing pharmaceutical products such as prescription medicines, medical tools and customer case files in casework cabinets and modular storage bins. They are modular, long lasting, secure and made to suit your specific needs. It is perfect for today’s changing environments. NO RAW EDGES OR EXPOSED FRAMING WHERE SPILLS CAN NEST – IMPACT RESISTANT VINYL EDGE BANDING. Whether you are in the Public, Health or Private Sector, we can customize a solution for you. Since our company works with a wide range of businesses, providing the appropriate modular storage systems for each of their unique needs has always been our goal. We have the experience and expertise needed to advise you on which casework solution would be most appropriate to accommodate your needs. 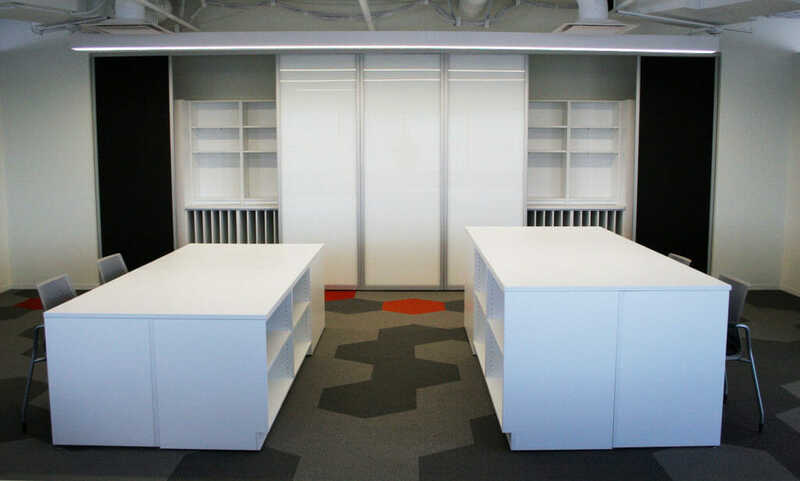 For example, a small office can best meet its needs by installing small modular cabinets underneath a work station. The cabinets can be moved around as needed to accomplish a custom working location for the end user. Modular casework cabinets with shelving are ideal in all hospital settings. It can even be designed to suit a garment business that needed design tables and storage for completed samples! We have been providing modular storage systems and custom millwork to businesses in New Jersey and New York for almost 30 years. Come visit our NYC based Showroom to see the difference between millwork and modular casework. Imagine the possibilities! © 2019 Modern Office Systems, LLC. All rights reserved.